Corban Estate Arts Centre's latest exhibitions feature Sam Mitchell and various artists newly graduated from Auckland art schools. These two shows are on display from 24 January till 2 March 2014. First is Last, Last is First features new room sized portraits by artist Sam Mitchell. These works are tattooed with eclectic motifs collected and repurposed from fairy tales, cartoons, legends and Corban Estate’s history. Underlying Mitchell’s popular culture portraits are a concoction of social, political and gender issues. New Grads Show 2014 is a chance to see the latest approaches in contemporary art. 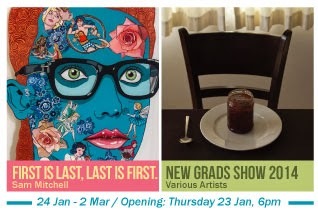 Come along to Corban Estate Arts Centre’s annual selection of new work from ten visual arts and fine arts school graduates from across the Auckland region. On offer is a full range of free art gallery activities. Auckland based artist and 2010 Wallace Arts Award winner Sam Mitchell talks about her latest exhibition First is Last, Last is First, and her residency in New York on Saturday 15 February 2014, 11am. In response to the New Grads exhibition children will recreate art that is inspired by the contemporary art coming out of visual art schools today. All materials provided, no bookings required, Saturday 22 February 2014, 11am. Sam Mitchell, Sofia (detail), 2013, Collection of Diocesan School for Girls. Image courtesy of Melanie Roger Gallery. Julia Hannig, Hayr Road (detail), 2013. Image is courtesy of the artist. New Grads Show features graduates from: Auckland University of Technology, School of Art and Design; Elam School of Fine Arts, The University of Auckland; Manukau School of Visual Arts; Unitec Institute of Technology, Department of Design & Visual Arts and Whitecliffe College of Arts and Design. Uninhabited spaces, ordinary scenes, overlooked views. Ruth Cleland and Gary McMillan make drawings and paintings of the places we fail to notice, as we are preoccupied with the busyness and activities of daily life. It’s not uncommon for new viewers to confuse the works of these two artists. Ruth and Gary share a consistent attention to detail, a similar ‘everyday’ subject matter, and both use photographs as the starting point for their drawings and paintings. But it’s a mistake to assume that the intent of their work is the same. Gary describes his work as being “closer to fiction.” He thinks of his paintings as frames from an imaginary film, where each scene has a sense of impending action. With a slight tilt or blur to the image, a movement is caught and there is a feeling that the view itself is about to shift. Like an in-between shot that segues to the next moment of action, his paintings deliberately evoke a feeling of unease. Ruth’s works are “closer to non-fiction.” There is a sense of social documentary in her scenes of suburbia, empty shopping malls and parking buildings. Not wanting her work to be a direct statement on suburban sprawl, but rather a snapshot in time without overt judgement or commentary, Ruth’s work raises questions of what do we value, where do we spend our time, and what will these places be like in the future? The use of the grid has become an integral feature in Ruth’s recent work - bringing the method of image transfer to our attention – a further acknowledgement of the source photograph and a nod to historical art practice. The meticulous enlargement, square by square, from the original photograph is a process both Ruth and Gary employ. Ruth and Gary’s work and practices are symbiotically interlaced; through each influencing, encouraging, and acting as each other’s sounding board. With the amount of time devoted to creating their artworks, it’s advantageous for them each to have a partner that understands the drive and intent behind the making. 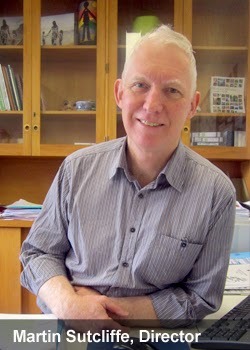 Ruth Cleland and Gary McMillan are Auckland based artists, both originally from the Waikato region. They studied at Dunedin School of Art, each gaining a Master of Fine Arts with distinction, Ruth in 2002 followed by Gary in 2003. Ruth and Gary have featured in numerous exhibitions both nationally and internationally, in dealer galleries and public galleries, including the Dunedin Public Art Gallery, Blue Oyster Gallery, Hocken Gallery, Vermont Studio Centre, Gus Fisher Gallery, and the University of Waikato. Among other successes, both artists have been awarded the 1st prize at the National Painting and Printmaking Award (Ruth in 2003 and Gary in 2012). In 2008, Ruth was the recipient of the Wallace Trust Development Award and in 2009, Ruth and Gary completed artist residencies at the Vermont Studio Centre, USA. Ruth and Gary are represented in the collections of The James Wallace Arts Trust, The Hocken Library, Otago Polytechnic and Eastern Southland Gallery. Ruth is also represented in the Chartwell Collection held at the Auckland Art Gallery and the Trust Waikato Collection held at the Waikato Museum. Ruth and Gary have had a significant influence on each other, having met at art school and been together for 18 years. Inland Empire is their first joint show and both artists feel it has been a natural progression bringing their work together. 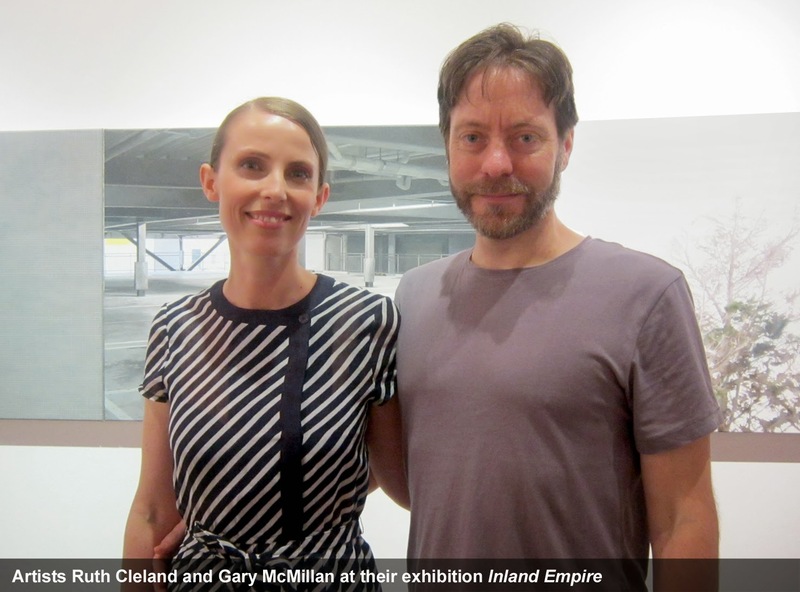 Ruth Cleland is represented by Melanie Roger Gallery and Gary McMillan is represented by FHE Galleries. We are looking forward to this year and what it will bring. We re-opened on 6 January 2014, and get straight into our Summer School on 13 January. There are diverse courses on offer spanning printmaking to silver jewellery, singing with freedom to children's book illustration. New to Summer School is the film-making course. During 2013 we trialled the end to end film-making course with Bryan Hudkins, Mike Lough and their team, Dreams in Shadow. In just two days participants completed short films and directly uploaded them to You Tube. On Saturday 29 March we have our Open Arts Day, replacing the Open Studio Weekend held annually till now. Open Arts Day will be non-stop from 10am till 10pm, with several exhibitions to see, artists to converse with, art workshops to try, and performances and films to indulge in. This year we are making special provision for the Deaf community to participate, providing NZ sign language where we can. While Open Arts Day is primarily for adults, further into the year, we have our Kids Arts Festival on 17 May, where children cut loose creating and performing; and starting late June we will hold several Matariki Festival events. Meanwhile with summer here, enjoy it and hang out with a nice coffee under the umbrellas at the Coffee Studio café. It’s a great spot for that lunch meeting or for just getting together with friends.